You deserve a break during summer, too. To help with your mornings and afternoons, we offer free bus transportation to our Dunwoody location. Don’t be surprised if your camper actually looks forward to the bus rides with friends, favorite counselors, camp cheers, and impromptu song sessions. Our bus service is provided by an experienced and licensed transportation company, and background checks are required for all drivers. There are also MJCCA Day Camps counselors on every bus! 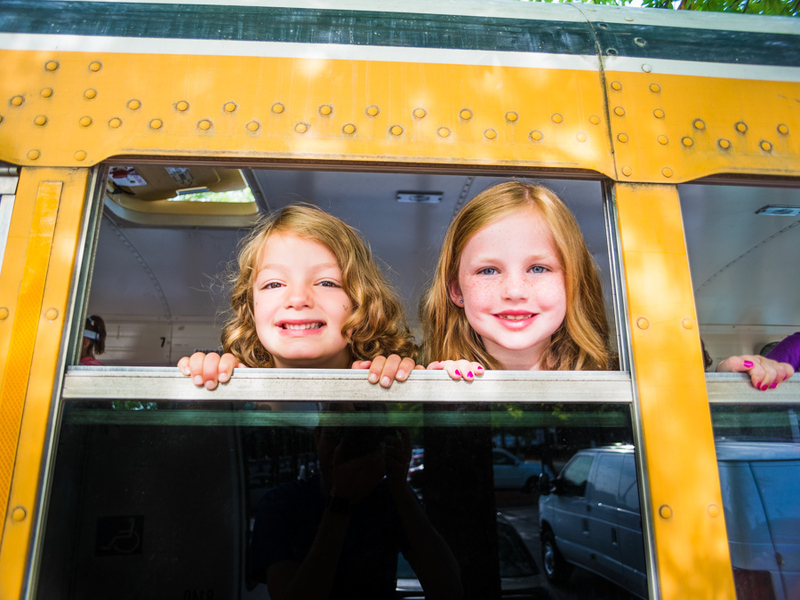 Our free bus transportation encompasses: Alpharetta, Brookhaven, Dunwoody, East Cobb, Johns Creek, Midtown, Norcross, Sandy Springs, Roswell, Toco Hills, and Virginia-Highland. Any changes to a camper’s afternoon dismissal must be communicated through camp mail by 11:00 am that day. Each child will receive a dismissal number for the summer – you must give this number to our staff when you pick up your camper from carpool, the bus stop, After Camp Care, or through early pick-ups. We will not release campers to anyone without their dismissal number. Your child’s dismissal number will be listed in your weekly welcome emails. Our staff are unable to accommodate early pick-ups after 3:00 pm. Early pick-ups for all campers, regardless of what camp they are in, are managed at our checkout table by the front desk at the main JCC building. Please go directly there when you arrive to pick up your child early. For Dunwoody camps, carpool is located down the gravel road, past the tennis courts, at Camp Isidore Alterman. If you are late for carpool, you will need to park and walk your camper to late check-in by the tennis court ramp. Campers dropped off early, before carpool starts, will be placed in the Before-Camp Care program and will be charged the weekly Before Camp Care fee of $30. Free bus transportation is provided to our Dunwoody location and must be registered for in advance. 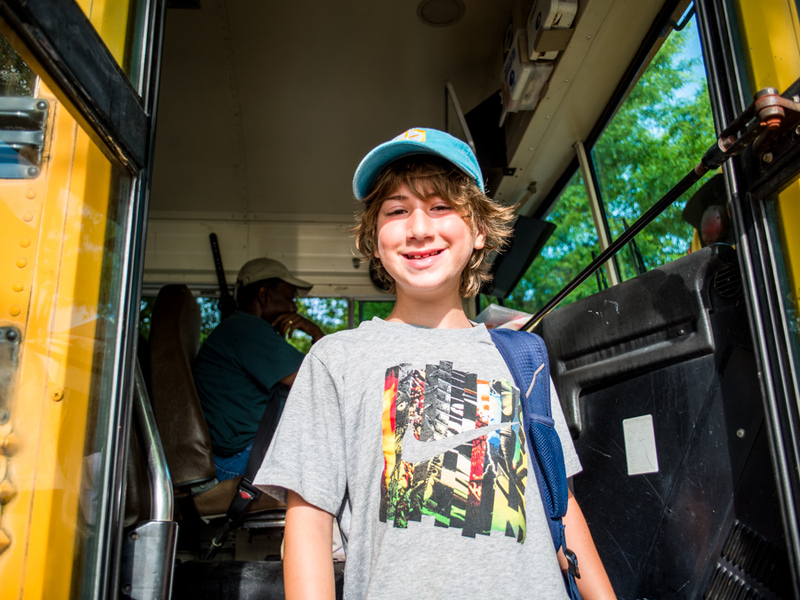 Please arrive to the bus stop 5 minutes early; to stay on schedule, buses are unable to wait on late campers or parents. If you miss the bus, you can attempt to meet the bus at the next stop on the way to Zaban Park. Drop off is located at the outdoor pool road. Our staff will get your camper out of your car and bring them down to Camp Isidore Alterman. Prior registration is required for Before-Camp Care. If you arrive after Before Camp Care is over, you will have to drop your camper off in the carpool line. Families with campers in both preschool camp and day camp can drop off their day campers with our staff on the mezzanine in front of the preschool doors inside. For Dunwoody camps, carpool is located down the gravel road, past the tennis courts, at Camp Isidore Alterman. Please have your dismissal number visible. At the end of afternoon carpool, we will bring any remaining campers to the camp office for 15 minutes. After that time, we will place them in After Camp Care until the parent arrives. The cost for After Camp Care is $55 per week. Bus transportation must be registered for in advance. If you are picking up children at a bus stop, you must provide the bus counselor(s) with your dismissal number as well as the dismissal number of any other camper you are picking up. Please arrive 5 minutes early to the bus stop. If there is no one at the bus stop to pick up your child, he/she will stay on the bus and can be picked up at each subsequent stop of their bus route. If your child has not been picked up by the end of the bus route, they will be taken back to the camp office. PLEASE NOTE: The buses depart BEFORE carpool begins. If there is a day that your camper should not ride the bus home and you do not submit camp mail to let our office know, they will be sent home on their regular bus. Prior registration is required for After Camp Care, which is located at Cano Isidore Alterman. We strongly recommend that you do not arrive for After Camp Care pick-up until after carpool is over, or you will have to wait in the carpool line. If your camper is participating in an activity at the MJCCA after the camp day, please submit camp mail to indicate which activity they should attend. As a reminder, we send Swim Team participants directly to the outdoor pool daily unless the camp office receives written communication otherwise. A separate registration form and payment is required in order to attend one of these programs. For more information and specific times for arrival and dismissal, please check your CampMinder account.